more products by: So Whats New? IF YOU HAVE RECEIVED AND ORDER FROM US YOU WOULD HAVE SEEN THESE BOXES AS THESE ARE WHAT WE USE TO POST OUR SPARE PARTS BUT YOU ARE WELCOME TO BUY THEM FOR YOUR OWN USE. 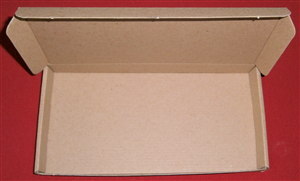 These boxes are ideal in helping to keep your postage costs down and the items well protected. Instead of sending an item in a padded envelope and paying Royal Mail packet rates, try these boxes as they fit into the Royal Mail Large Letter price band. For example, if you need to send an order that weighs under 100g and will fit into these boxes it will cost you just 69p 2nd Class Large Letter postage. A packet weighing up to 100g would cost £2.20 to send by second class packet post but one of our boxes including contents that weighs a total of up to 100g would cost only 69p 2nd Class Large Letter Post (Latest April 2012 Royal Mail rates). A packet weighing up to 250g would cost £2.20 to send by second class packet post, but one of our boxes including contents that weighs a total of up to 250g would cost £1.10 2nd Class Large Letter Post (Latest April 2012 Royal Mail rates). A packet weighing up to 500g would cost £2.20 to send by second class packet post, but one of our PIP boxes including contents that weighs a total of up to 500g would cost £1.40 2nd Class Large Letter Post (Latest April 2012 Royal Mail rates). Our Large Letter spare parts boxes will protect your goods as well for items such as small books, jewellery, craft items, cards, silk scarves, ties, cosmetics, gloves, stationery, flash drives, pens, silver business card boxes etc. in transit, and give a professional look and feel to your packaging. 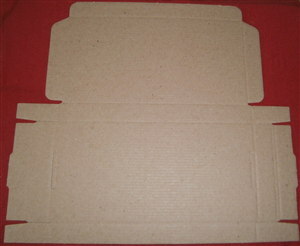 These neat and sturdy boxes are very easy to assemble and will be sent to you flat packed. They are also easy to personalise with a sticker and useful for advertising a web site perhaps. Please ensure that the items you need to pack will fit into these boxes before you purchase.